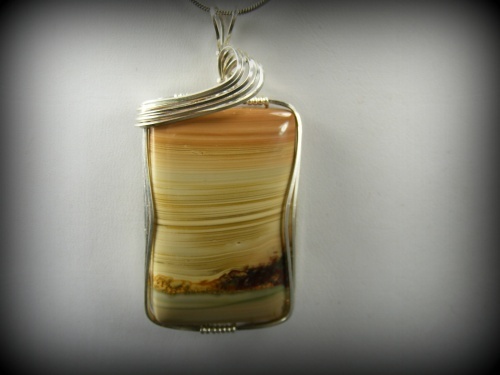 This gorgeous picture jasper reminds me of a windswept day overlooking a desert. Its so unique and is truly one of a kind. Sculpted with sterling silver swirls, piece measures 2 1/4" tall and 1 1/4' wide and comes with a sterling silver snake chain.